Italy’s Florence, a city spoken about with sighs and wishful thinking the world over, is beautiful at any time of year, and provides a wide variety of amazing sights for visitors to take in. From stunning architecture and fashionable boutiques and markets, to top restaurants, cafes, and bars, and breathtaking scenery, there is much to admire in Florence. However, if you’d like a crash course in the city’s artistic heritage and cultural delights, you won’t have to look far either. Whether you have been using a top travel credit card for months to earn enough points to tick this Italian marvel off your bucket list, or want to fit in some activities on your next business trip to the area, you will find many spaces where you can learn about art, history, literature, music and more. Read on for some of the best spots in the city to add to your itinerary. The impressive showcase of works starts with the museum’s entrance hall, where you’ll see numerous heraldic decorations on the walls with coats of arms from the 13th to 14th centuries. From there, the open courtyard features a variety of 16th-century statues created by Danti, Bandinelli, Ammannati and Giambologna; while the Hall and other rooms are home to works by Donatello, Pisano, Cellini, Sansovino and more. The Bargello also showcases two famous panels: those created for a competition run in order to decide who would create the most prestigious commission in 1401, that of the decoration of the north doors of the baptistery in the Piazza del Duomo. One bronze door by Lorenzo Ghiberti (who was awarded the commission), and the other by Filippo Brunelleschi, sit side by side today. Once the city’s prison, and before that a 15th-century nunnery, Le Murate today is a cultural hub for both local Florentines and visitors, and the perfect space to while away an afternoon or evening. This cafe/bar/artsy hangout certainly has an atmospheric location, being situated in the historic red-brick building (arranged around an inner courtyard) that has stood the test of time. Better yet though, Le Murate is the place to enjoy live music events, film screenings, and a variety of art exhibitions. If you want to immerse yourself in local culture while having a bite to eat, this is the certainly a destination to put on your itinerary. Fans of Florence’s most famous poet, Dante, will not have to look far in the city to find reminders of the writer’s acclaim. The divine poet was born in Florence in 1265 and wrote many of his masterpieces here. 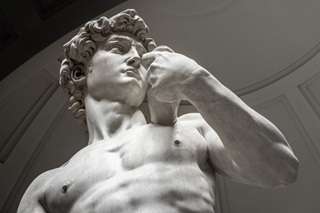 While visiting Florence, spend some time checking out the museum that is located on the site of his family home, and then take a guided tour. 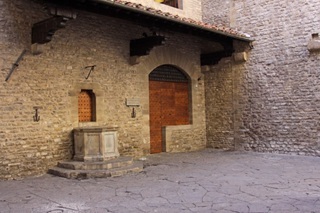 As well, head to the church of Santa Margherita dei Cerchi, in a little alley near his house, to see a monument to Beatrice Portinari, Dante’s muse and great love. It is said that the writer may have also married his actual wife, Gemma Donati, at the church too. Another cultural treasure trove in Florence is the Basilica di Santo Spirito (Basilica of the Holy Spirit), commonly referred to simply as Santo Spirito. This Brunelleschi church is a classic example of Renaissance architecture and has a grand interior, with 38 semi-circular chapels and a colonnade of Corinthian columns running around the nave and transept. Apart from its design, the church also houses memorable artworks that you don’t want to miss. For example, within the basilica you will find Filippino Lippi’s “Madonna with Child and Saints” (created in the late 1400s) and Domenico di Zanobi’s “Madonna of the Relief” (1485). In addition, Santo Spirito is also the place to head in summer when many free, open-air classical concerts are held. If you’d like to find a top spot to watch the sunset in Florence, you won’t have trouble coming up with options. 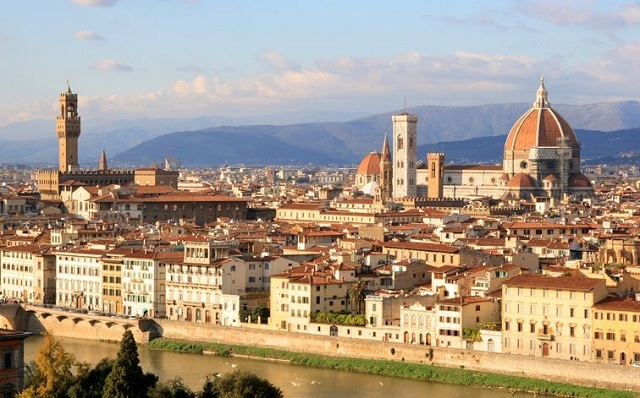 A highly-recommended choice though is the Piazzale Michelangelo. If you can drag yourself away from the many souvenir stalls in this iconic square (where you can also see one of the two copies of the famous “David” sculpture found in Florence), you will have the chance to enjoy a breathtaking view of the city panorama.